On a warm September Friday evening, the West Ottawa defense took the field against the Caledonia Fighting Scots. Starting in his first OK Red conference game, Sr. defensive lineman Angelo Mata lined up against the huge six foot one, 200 lbs, Sr. Ryan Tedford of the Fighting Scots. Mata standing at six foot flat and weighing in roughly at 210 lbs was not intimidated of the 200 lbs tackle across the line from him. On his first play, Mata ran right past the tackle untouched and was able to stop the running back at the line of scrimmage for no gain. Going from a Division III high school, like Holland, to a Division I high school, such as West Ottawa, is a rough and difficult transition. Not only is the 1300-person student body of Holland much smaller from West Ottawa’s 2,300. There are much bigger, tougher, and more versatile football teams that the O.K. Red possess. Mata is a prime example of a student that was able to take on this difficult transition. Football practices at West Ottawa are known in the halls for being rough, mind-bending, and almost unbearable to one with thin skin. WO has a unique practice compared to any other Division I school in the area; with the same routine every single day in and out. Also it is extremely different from any Division III school in the state such as Holland. “Holland’s practice was different each day, we’d do new drills, and change up our defense depending on the opponent. West Ottawa’s practice was the same every day same stuff at the same times, a lot of yelling. I actually don’t even recall being yelled at too much at Holland,” Mata said. WO has a different type of intensity to practices as compared to Holland. WO possesses some of the best coaches in the area and overall one of the best coaching staffs in the state, including head coach Ryan Oshnock. This coaching staff would be quite a different experience of practice for anybody and Mata was not exempt from this. “West Ottawa’s coaching staff is very intense. Coach Oshnock made me like football even more from bringing his intensity, screaming at us, and hyping us up. Holland had maybe one coach who would try to get us hyped. I guess they didn’t push us to our maximum potential,” Mata said. Mata likes to think that there are definitely differences in the coaching staffs of Holland and West Ottawa. It was definitely a difficult transition going from a Division III school to a Division I school for Mata; it would be for anybody. Not only were the practices and coaches much different from his old school, but competing for a bigger organization was much different for him. Also, the competition was not as fierce when facing Holland’s schedule. “The main difference is definitely the size and intensity. At WO you have to come 100% every play. To me, it’s either come smack somebody or get smacked by somebody. And for Holland it wasn’t nothing serious, I could go 70% and still get a tackle for a loss but not for WO,” Mata said. Everything about football for Mata was completely flipped around when he came to West Ottawa, but he was definitely able to make the most of the transition. West Ottawa and Holland are two very different schools when it comes to football; from practices to coaches and even just the way the game is played. 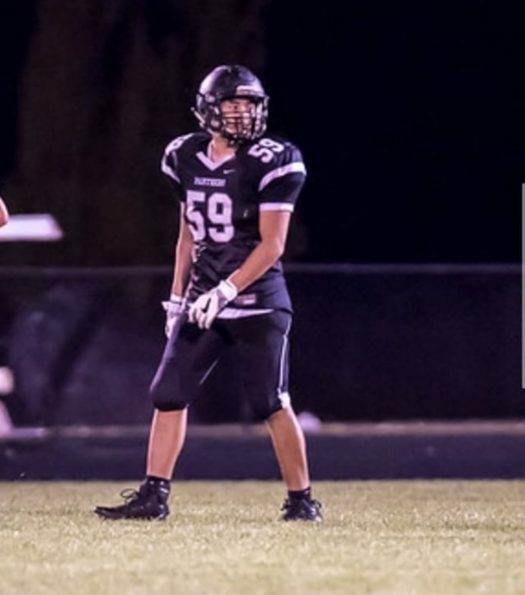 For an athlete to make a transition from Holland to West Ottawa and succeed in football is something incredible; Angelo Mata did something near impossible this season and was a playmaker on the defensive side of the ball for WO in this historic season.